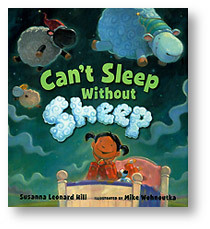 Susanna Leonard Hill’s book “Can’t Sleep Without Sheep” is very funny! 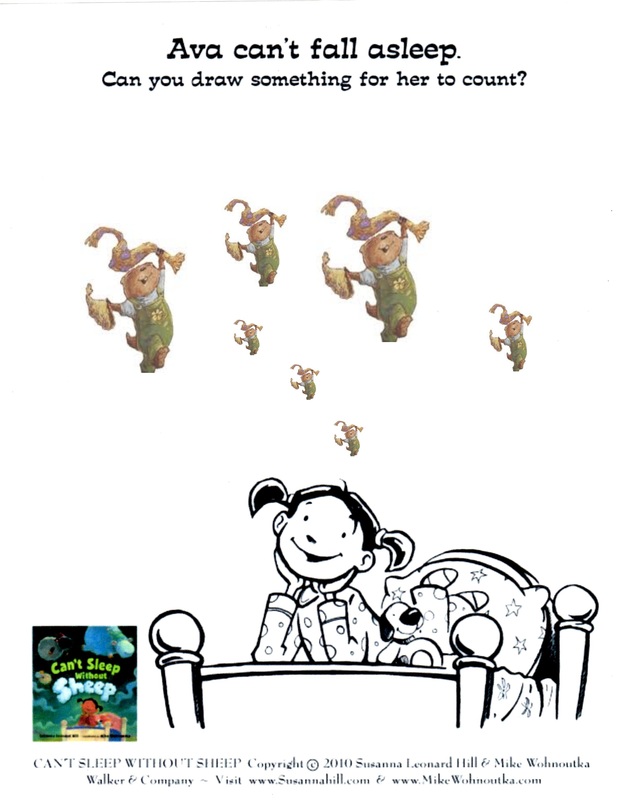 I like her book a lot. She is having a coloring contest for kids because the book is now an ebook too (you can read about it on her blog HERE). 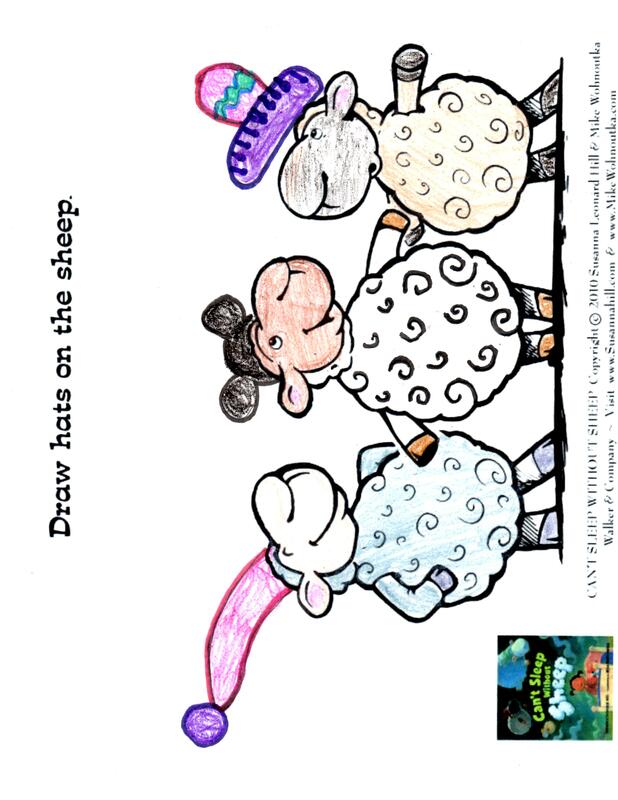 You could choose which picture to color, but I couldn’t choose so I did both. You had to draw hats on this one. You had to have Ava counting something in this one. I didn’t draw it but I thought Phyllis would want to be in the picture so I put her in it.